There’s a new Hercules movie coming out this weekend, and it looks really bad. What’s worse, it looks like it’s going to be really bad in the same way a lot of bad fantasy/sci-fi movies are these days, where they take themselves so seriously that even the color has been washed out of the film. It’s a moody teenager’s conception of myth, where the heroes are constantly scowling and it’s always raining because being happy is lame and for lame babies. So surely, a movie that takes the opposite approach and goes wall-to-wall goofy with everything should be 100 percent better, right? 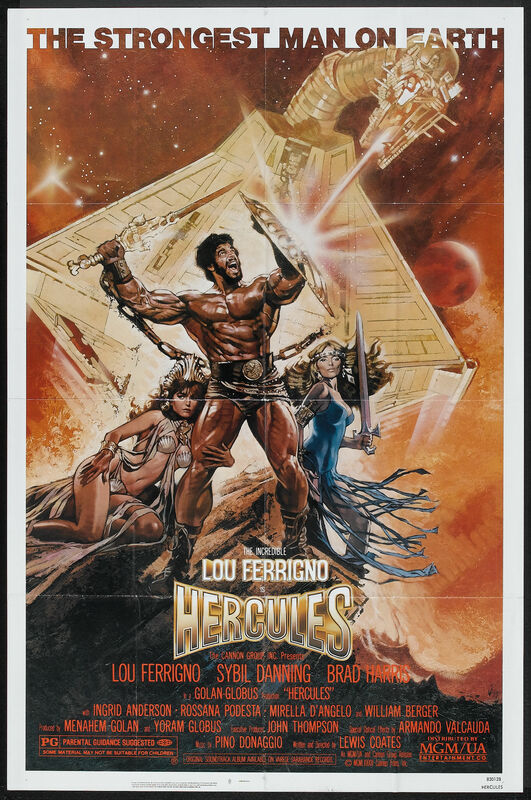 Not really, and that’s why I’m talking about the 1983 Golan-Globus version of “Hercules” starring the only non-CGI Incredible Hulk.